peek-a-boo florals | stesha rose. 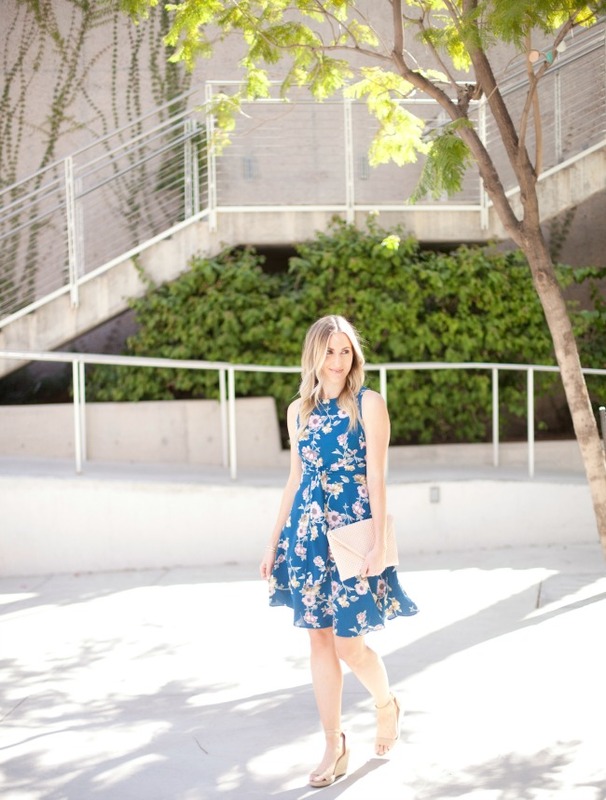 Spring is for florals, no matter how cliche that sounds florals are a must in my books. Or, I guess you could say it's a treat! I always love a good floral print + color combo. A few weeks ago I photographed an engagement shoot and the bride to be was wearing a beautiful white floral dress, when I asked her where she found it she said... Forever21! So, when looking for a dress for the upcoming summer weddings I am attending I went to Forever to see what they had. There were so many options, I couldn't believe the wonderful selection they had. I found this blue, peek-a-boo back, with front tie dress hidden on the side rack not in its proper place at all. Luckily it was my size (I always size down for Forever21's contemporary line) I immediately when to the dressing room to try it on. 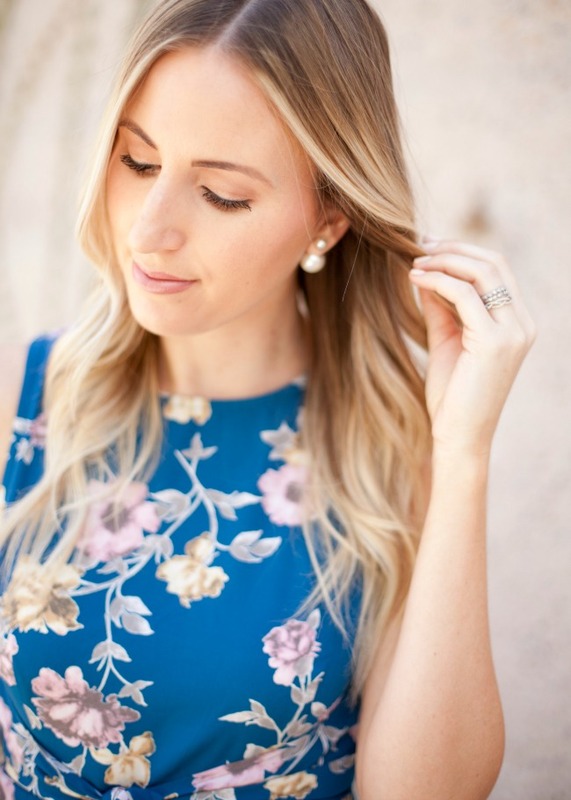 It is so beautiful and feminine, it will work perfectly for both my summer California weddings I have these next couple of months! I love so much of the Forever21 Contemporary line. I love the price point and never feel like I'm sacrificing quality on most items! Love this dress, I need to add it to my closet asap! Such a cute springtime dress!! You look great! Just the right amount of peek-a-boo! Looks fabulous with those wedges. What a gorgeous floral dress! I love the cutout detail on the back! Your outfit is very pretty! Also, the event was equally rocking. I bet you had a great time there. NYC is my favorite place and usually visit there with my friends and family to celebrate special occasions. Have been to almost all popular wedding venues there. Ever wear one of those dresses that makes you feel like a pretty, Grecian goddess? That is definitely this dress. I love a good maxi dress as much as any other girl. Find more maxi dresses with the cheapest price from Yandy coupons and get the best deals on all latest designs of maxi dresses. it is very interesting and nice blog.